Isn’t that a fact now? 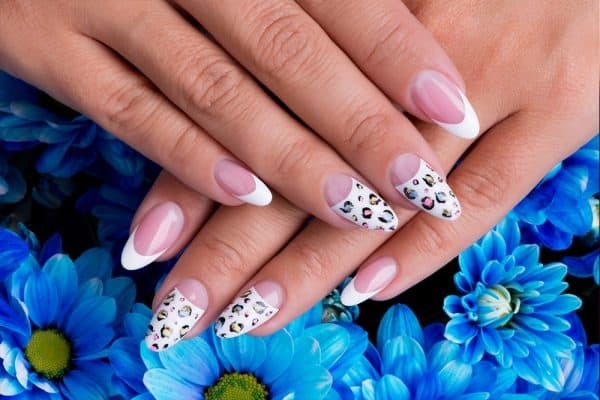 Nail art has been adopted and loved at such a high rate and speed and at such a vast level that you wouldn’t be surprised if there will be brands that will be solely dedicated to it in the near future! True story! Don’t you agree, girls? You buy new colors of nail polishes and you’re the happiest person ever. Nails are such an important part of your look. You know your day is ruined if you accidentally break a small part of your nail in the morning or a little nail art gets chipped and wears off. 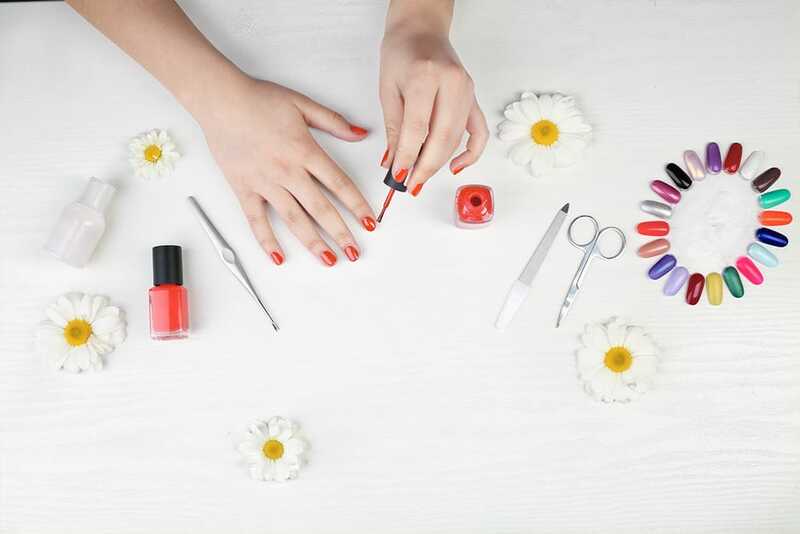 Trust us, there is no such thing as not being ABLE to create nail designs or do nail art yourself. The basic strategies are- (1) practice and (2) patience, and you’re going to be excellent at nail art in no time! Doing your own nail art is like releasing the tremendous amount of stress you have all day. You practice nail art and you forget all your miseries! 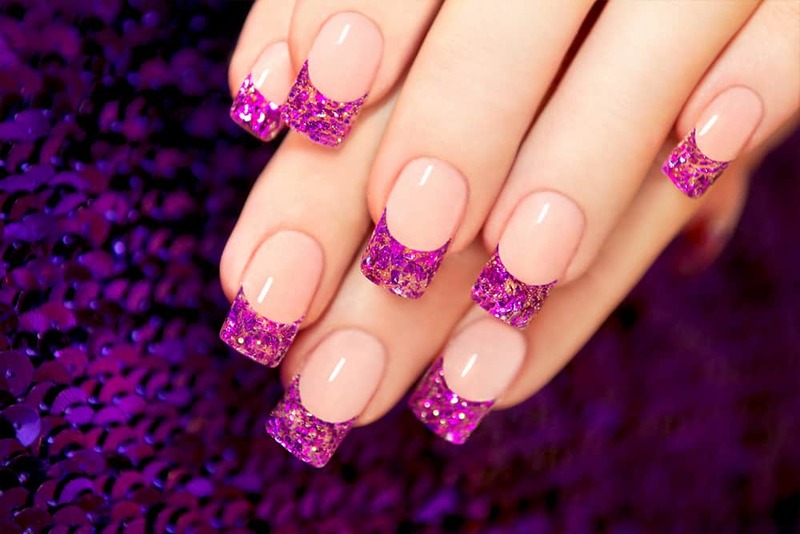 Below are some nail art inspirations to get you started. After reading this article, you’re going to acquire the nail art superpower for sure! Good luck! Different ravishing ready-made nail art labels and designs are available, and they look mesmerizing when executed neatly and carefully. Apply the art labels, and coat the different colors accordingly. Remember to always apply the transparent coat before sticking the label to the nails and after the nail art is done. 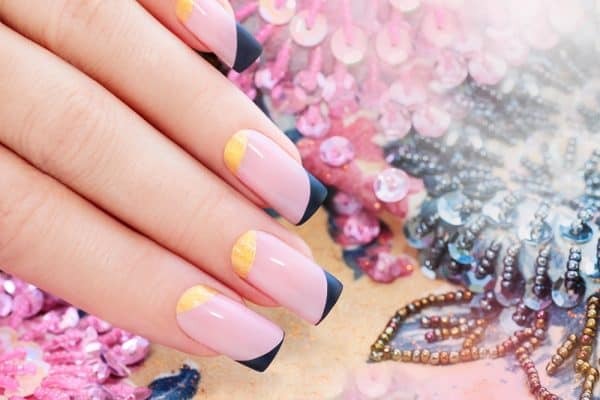 The trick behind this beautiful design is simple: paint the nails as one normally would and apply a pair of stripes of different colors on the edge of the nails. This can be done with the aid of strips of sticky tape for precision. Apply multiple top coats. 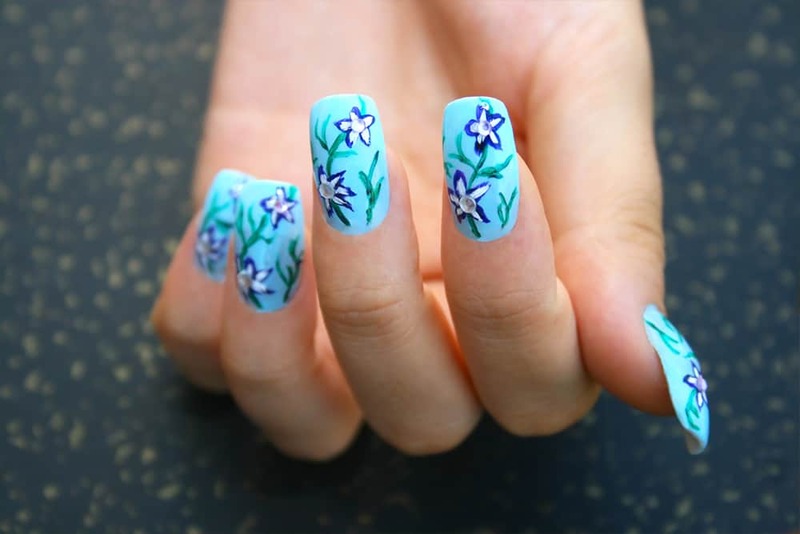 The floral design is one of the trendiest nail arts. Apply a coat of nail paint and design it with flora in different colors. 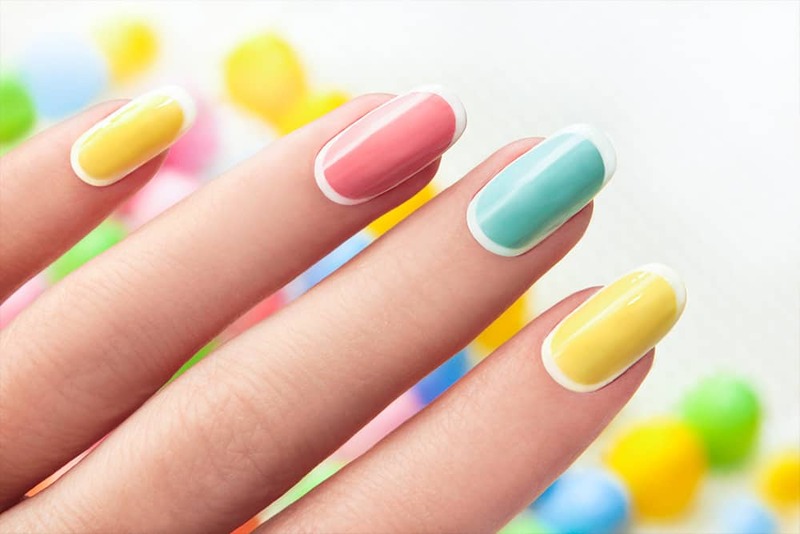 This refined look of candy nail art is possible with the mere help of a pair of thin brushes and different adorable colors of nail paint. 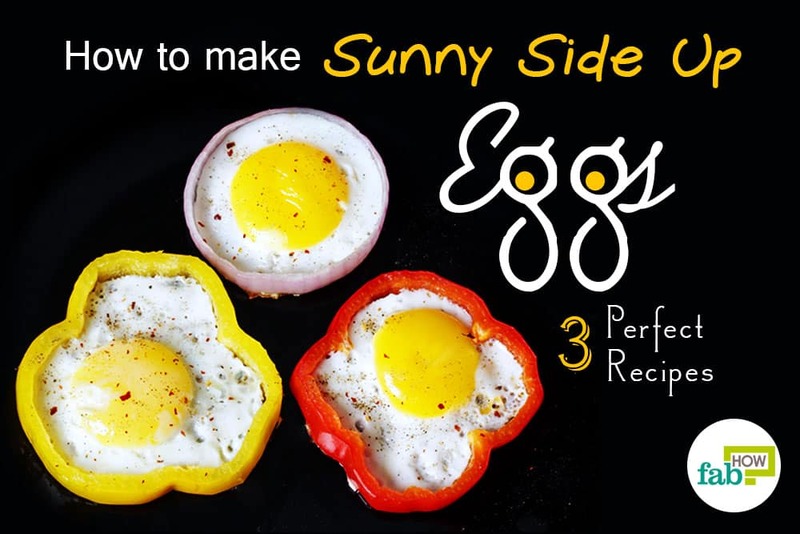 Apply one coat of color and outline carefully with white, and you’re good to go! This combination of gold, baby pink, and black is as chic as it gets. This look is done by sticking tapes to portions of the nail, color blocking, and painting the rest of the portions. 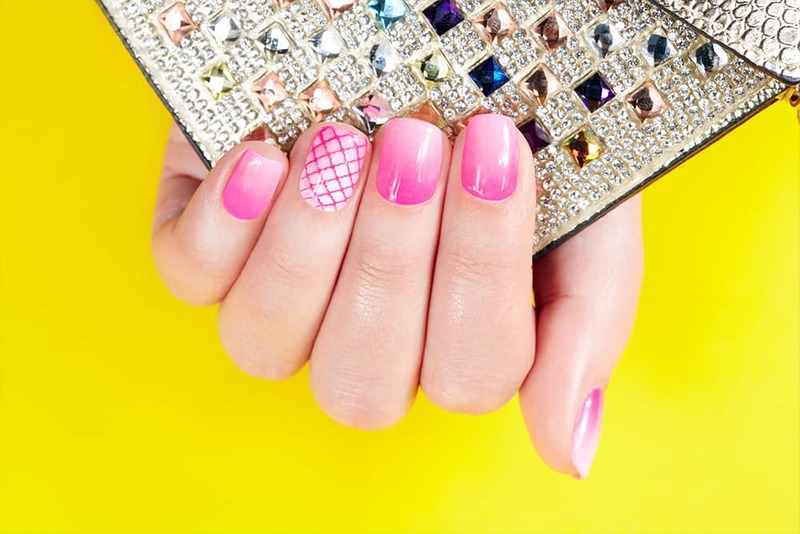 This nail art is way easier than it looks like, right? This Egyptian-inspired look with bead stickers appears all metallic and shiny. 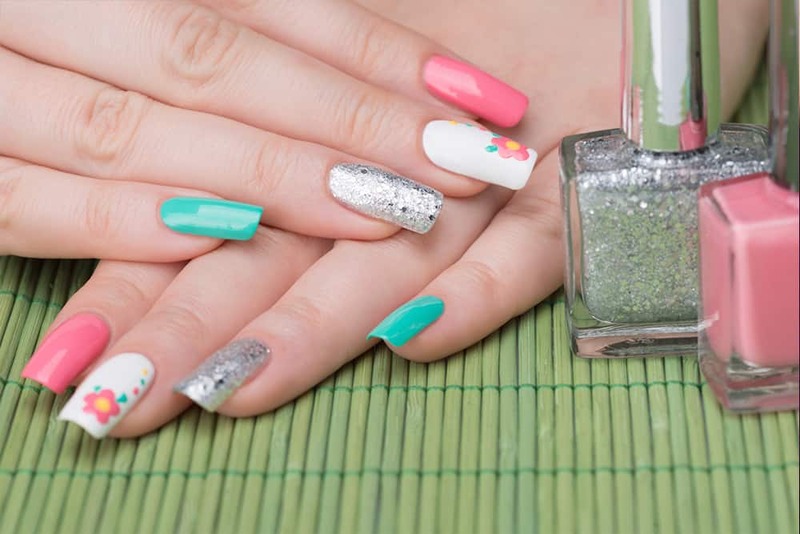 After applying the coats of your favorite colors, all you gotta do is add resplendent, shiny bead stickers that complement your nail color and style. Well, nail art is all about fun and stuff. The charm of nail art labels and matching stickers is the secret behind this adorable nail art. It is stylish and preferred by most. 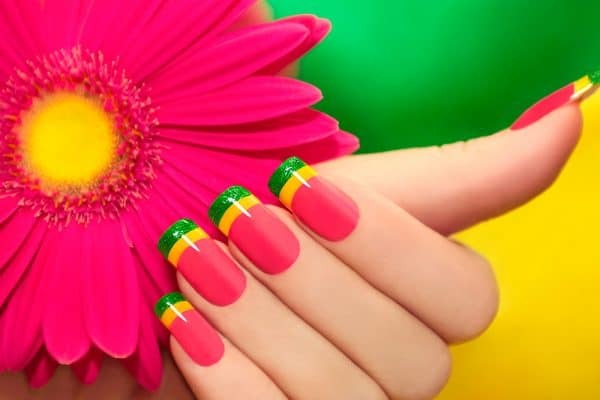 This style looks like a vacation for plain nails! 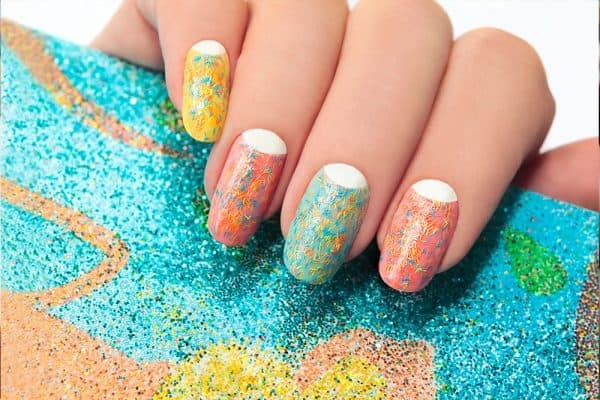 This nail art is done by using a sponge. Apply the first coat of color on the nails. Dab a sponge on the nails to wipe some of the nail paint and achieve a gradient color. You can add more paint color in a lighter or darker shade and use the sponge again to blend until you are happy with the results. 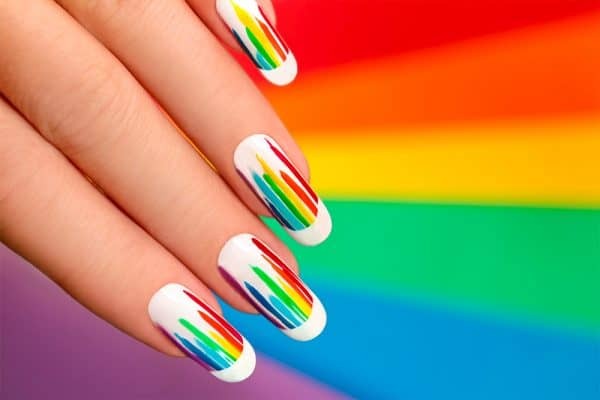 The unique nail in the middle finger is done by applying thin stripes of color on top of a plain paint. With the magic of dotting tools or toothpicks, the polka-dotted nail art can easily be accomplished. 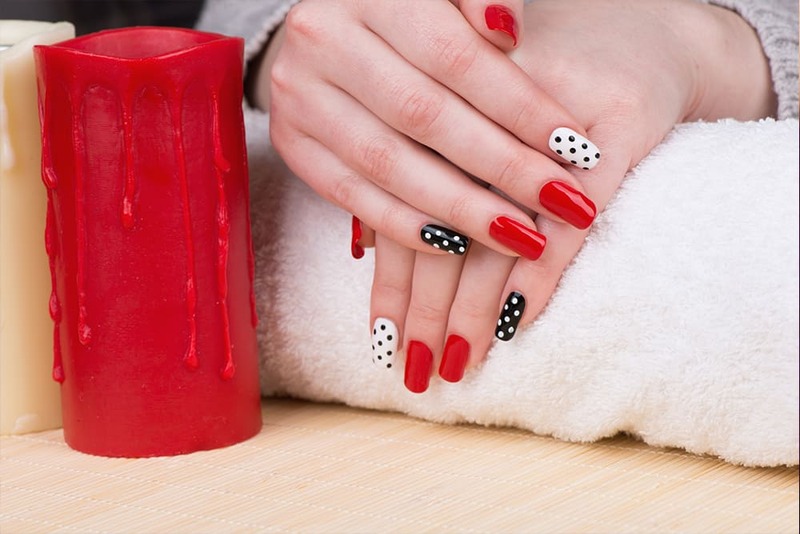 It is as trendy as ever, and you may apply different paint base colors on each nail and add polka dots on top of them. Have you ever heard of the saying, “If the color fits, wear it”? So when you like more than one color, wear ’em all! Just look at that little flower! That’s like adding life to the fingers! Use a thin brush and paint your heart out, creating whatever cute design you wish to. This absolutely hot trend of making every nail stand out is as exotic as it looks. 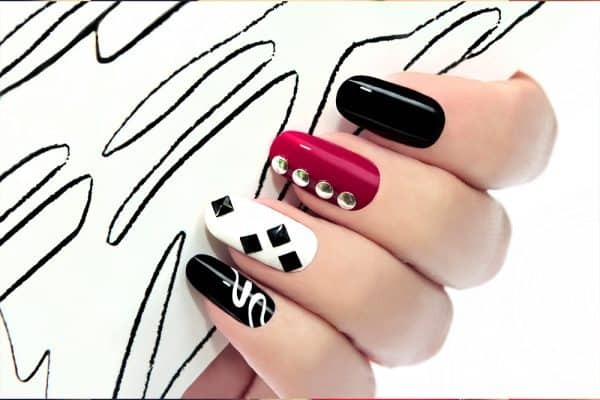 Putting stickers of different colors and shapes on painted nails and then combining that with one plain single-colored nail is all that it takes. White is certainly the new black! 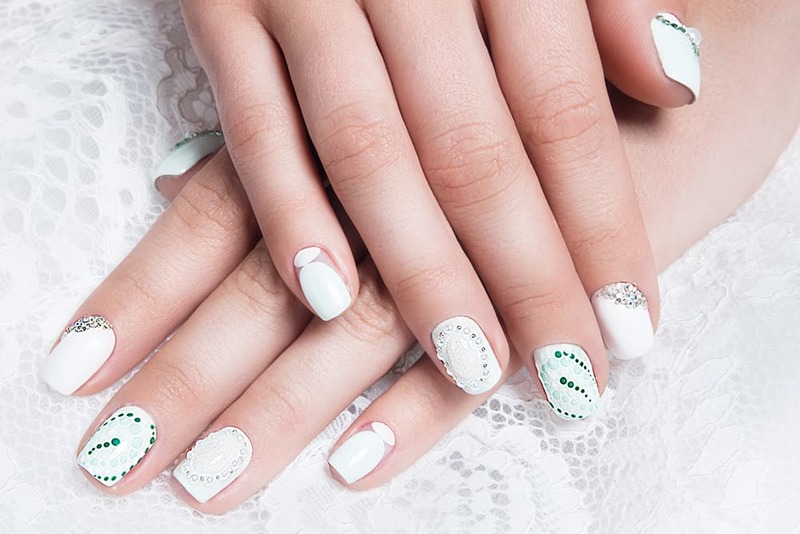 Painting all your nails in white and then decorating them with funky-colored beads in different size and style creates a unique design that looks mind-boggling but stylish. Of course, the ombre style done with the help of either crushed polythene paper or sponge comes with variations and offers unending options. With this black and blue blend, your nails are going to be extolled by women all over. 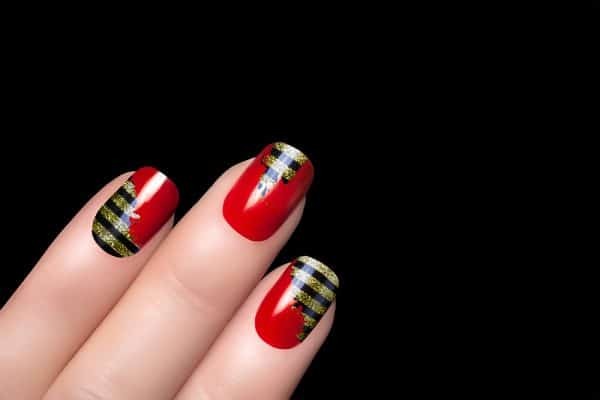 This unique nail art is executed by first painting some areas of the nails with stripes of black and gold and then painting the rest with a bold red color. Although this particular design takes some time and effort, the results are so worth it! 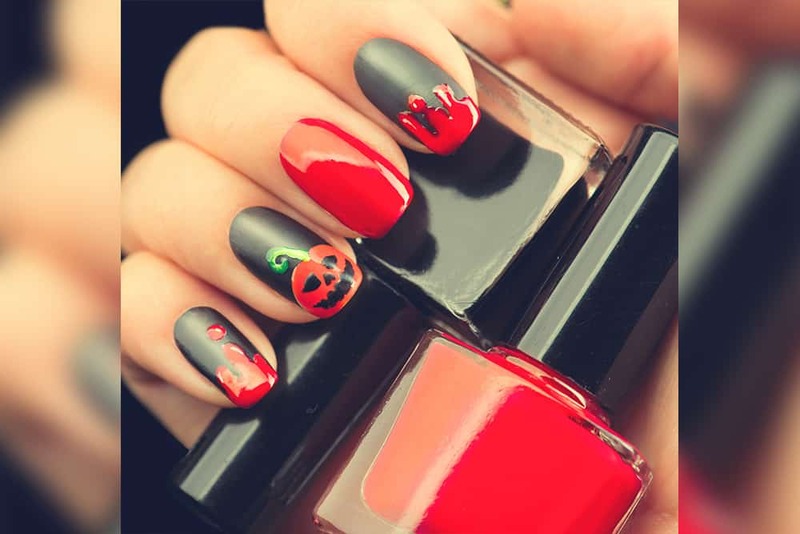 Why not paint your nails with Halloween designs? After all, you’ve become an expert now. Are you a fan of colorful stripes and rainbows? Well, if you are, this design is especially designed for you! Sparkle isn't just for your dresses and eyes! With the special coating of these colorful sprinkles after painting the nails in different light or pastel shades, this design is unique in its own way. Did you just start singing the song, too? 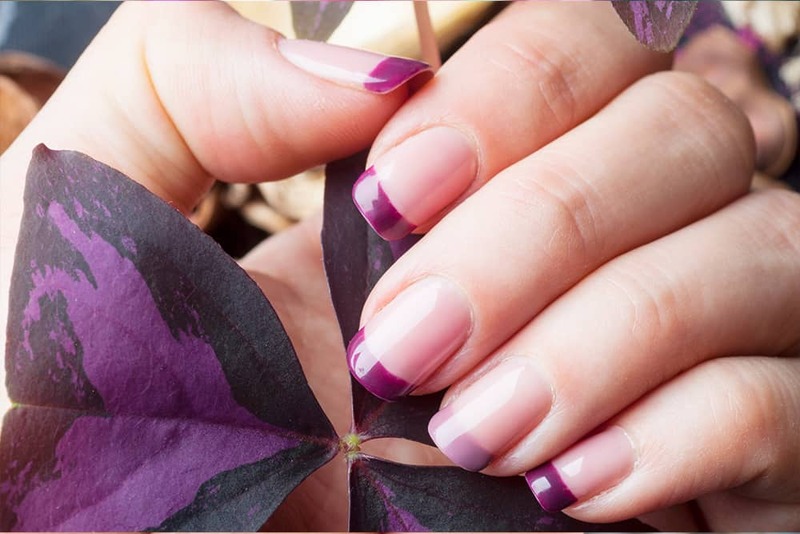 Well, this purple design made with nail art label sure would make you groove. 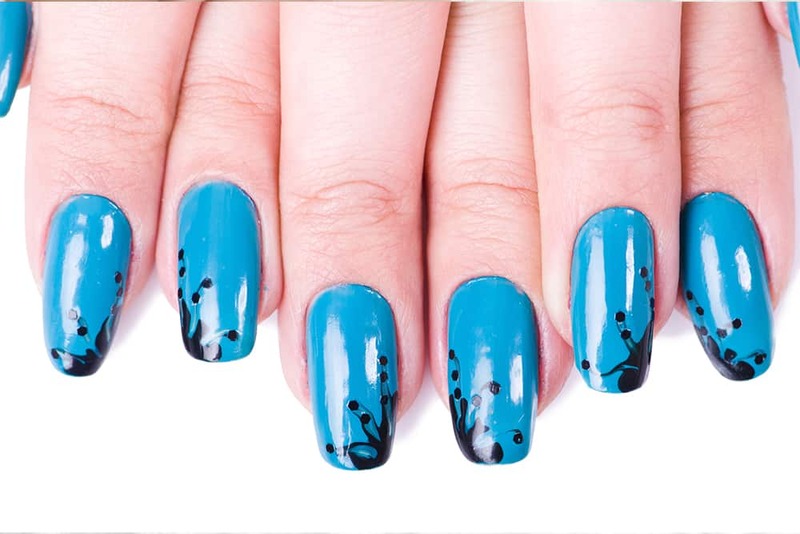 With a mixture of polka dot, stripes, and nail art labels, this design’s got places to go. With light pink lacquer adding to the black, white, and golden figures, this nail art is the magic of nail stripes and nail art labels only! Here’s to the textured designs done carefully on transparent color, adoring it with a black outline. 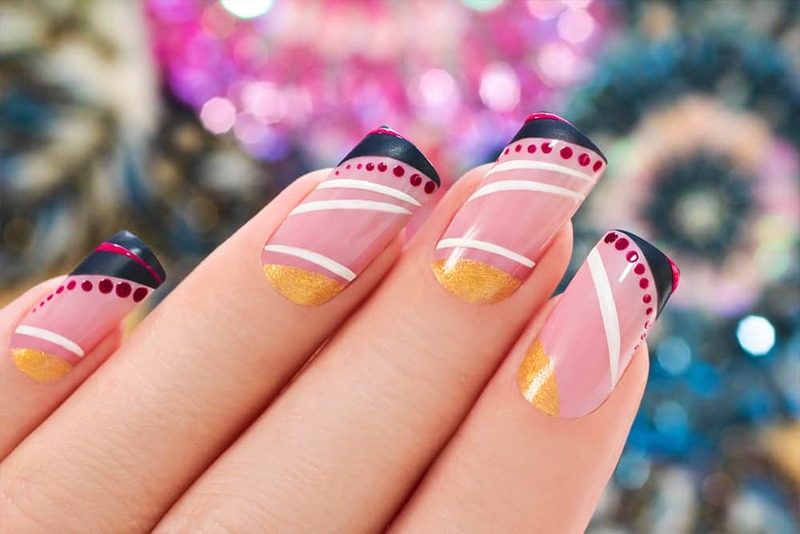 This tricolor nail art with the addition of bead stickers looks super trendy as well. The black and white stripes never go out of fashion really. Since you’ve had a good idea of nail art now, this design is surely the one to go gaga over too.